This temple is the most popular temple in Kyoto. 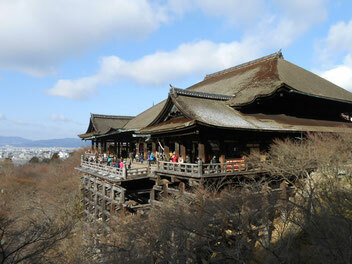 Its main hall was built on a cliff and has a projecting wooden platform in front. We can enjoy a panoramic view of Kyoto from there. There are more than 100 souvenir shops on the way to the temple. 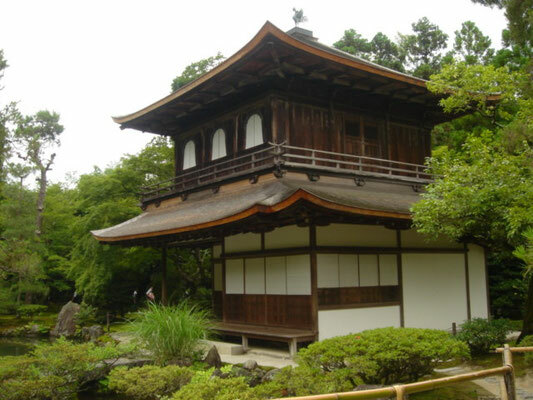 The eighth Shogun of Ashikaga Shogunate originally built this temple for his retirement villa in 1460. After his death, this temple became the Zen temple. 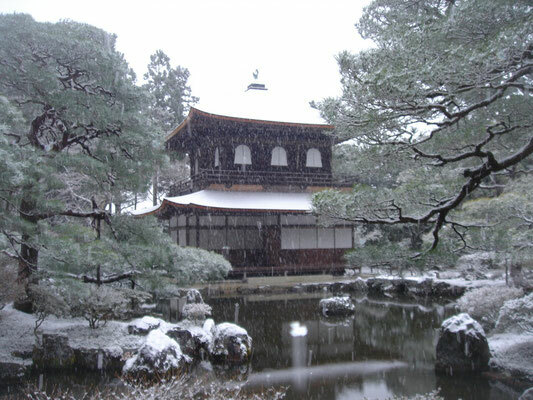 The two storied pavilion is not covered with silver leaves, fortunately this pavilion is original and registered National Treasure.